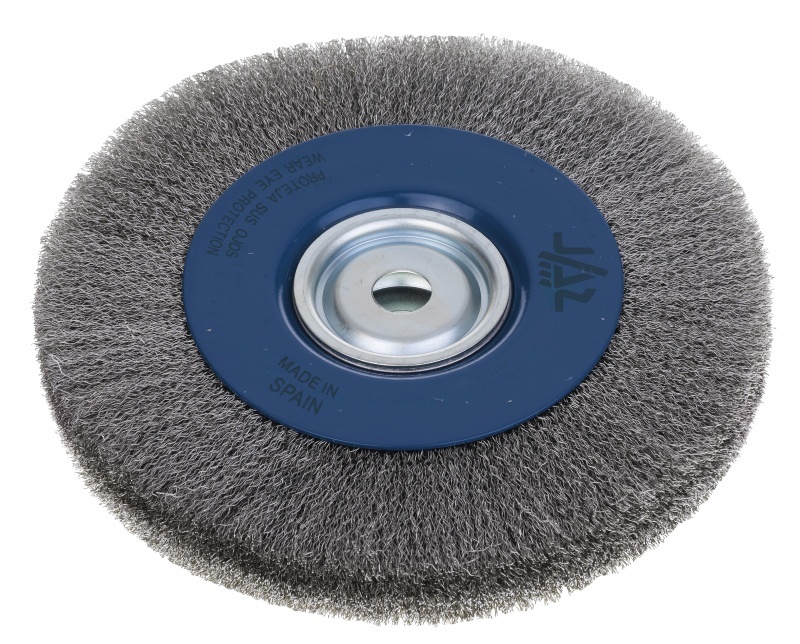 We stock 150mm & 200mm stainless steel wire brush wheels for use on bench mounted rotating shaft applications where the work-piece can be held to the wheel. 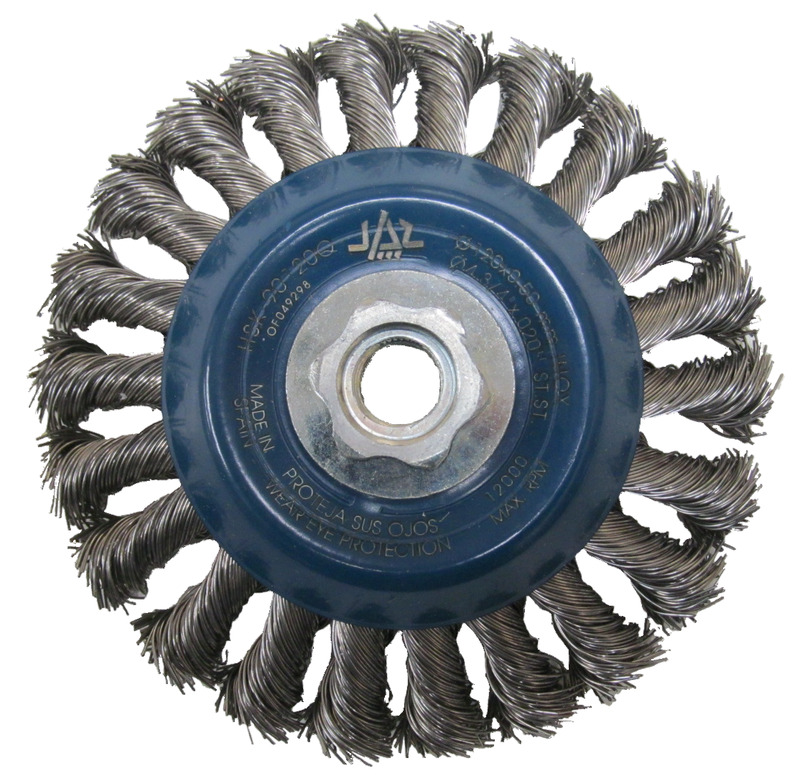 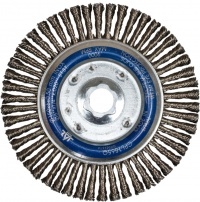 This narrow faced stainless steel twisted knot brush wheels are ideal for cleaning pipeline and corner welds. 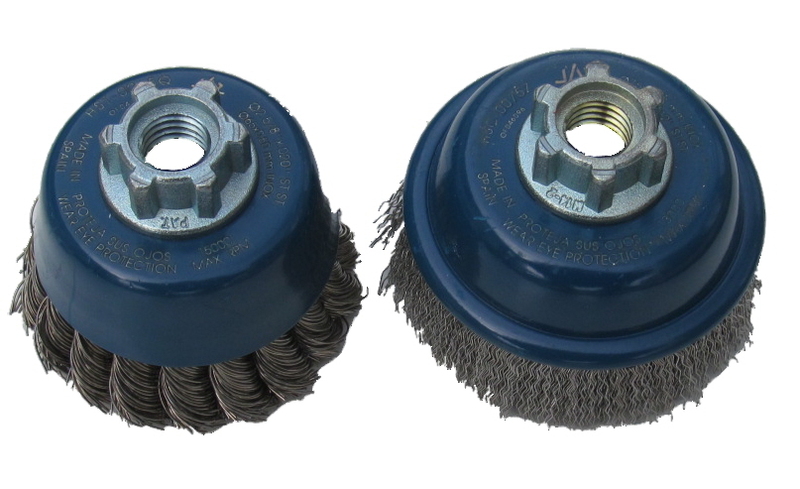 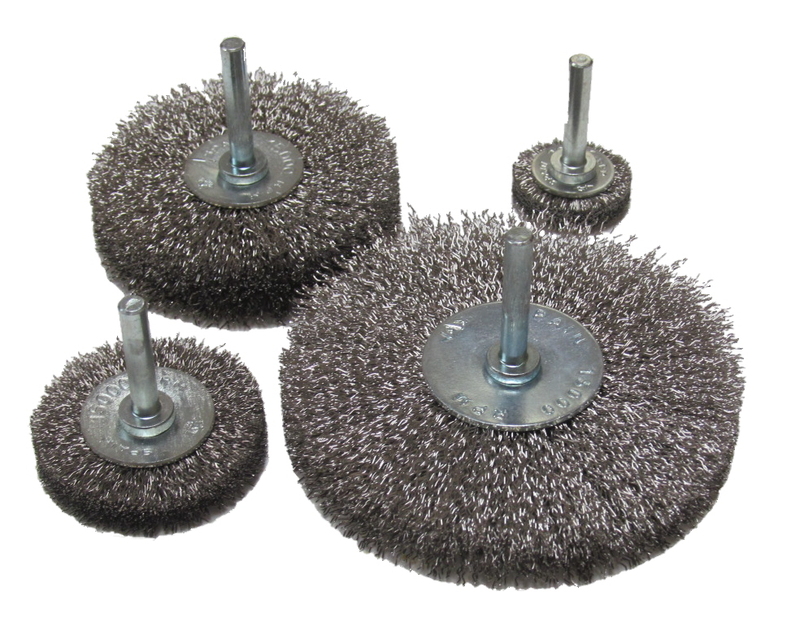 We stock spindle mounted radial wheel brushes from 30 to 100mm in stainless steel.